Our traditional concepts of facial and eyelid aging have been: the face drops and we become wrinkled. Not that attractive. 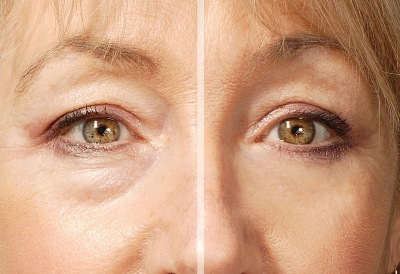 While to a degree this is true, there are other factors which lead to facial and eyelid aging. Here's are some popular solutions: lasers, skin peels, implants, fat grafting and fillers (these should be in the eyelid rejuvenation plan when appropriate). Knowing when to add these are key steps which require the expertise of an eyelid specialist (ophthalmic plastic surgeon) such as Dr. Massry. Dr. Guy Massry, Beverly Hills Ophthalmic Plastic Surgery, is a specialist in eyelid aging and surgical correction of these issues. Dr. Massry has written the “state of the art” textbook on this subject called “Master Techniques in Blepharoplasty and Periorbital Rejuvenation” which has been very well received by the medical community. If you are interested in seeing Dr. Massry for cosmetic eyelid surgery such as blepharoplasty or ptosis repair please contact him at his office (310) 657-4302 or thorough his web site. When an eyelid is not in its correct position the problem is referred to as an “eyelid malpostion.” In the lower eyelid the most common eyelid malpositions oculoplastic specialists see are entropion – when the lower eyelid flips in, and ectropion – when the lower eyelid flips out With entropion, as the lid flips in the eyelashes can rub on the eye itself, a condition known as trichiasis. This can cause, pain, irritation, a red eye, tearing and infection. 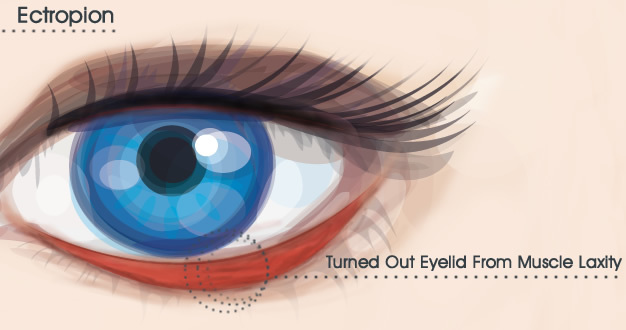 With ectropion, as the lower lid flips out, typical findings can be similar except that there is less pain as the lashes do not rub on the eye. 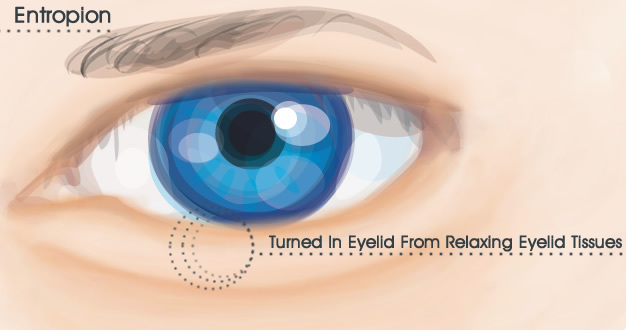 Repair of entropion or ectropion requires a detailed examination by an eyelid specialist (ophthalmic Plastic surgeon) and almost always a surgical repair. These surgeries can be something simple to complex depending on the nature of the problem. The surgical steps involved can include a “canthoplasty” – or a lower lid tightening (suspension), internal eyelid surgery to re-create connections lost, scar release if due to trauma or diseases which scar the lids, and skin grafting or mid face lifting if there is a shortage of skin. Dr. Guy Massry, Beverly Hills Ophthalmic Plastic Surgery is an oculoplastic specialist who is a renowned lecturer, teacher and medical author. Dr. Massry has years of experience with eyelid malpostion surgery such as entropion or ectropion. If you need the assistance of as oculoplastic specialist, please contact Dr. Massry at his office 310.657.4302 or email info@drmassry.com.